The family life balancing act is a struggle so many have to learn to cope with. Are the kids receiving all their essential nutrients? Does the family make time to communicate with each other? Is everyone participating in physical activity? There is so much to consider to merely get by. While many of us have our bases covered, there is always room for improvement. Whether we like to admit it or not. There is an unmistakable difference between surviving and thriving. Many families survive, and quite comfortably, but fewer thrive. But, what does that mean exactly? The dictionary defines ‘thrive’ as the act of growing, prospering, and flourishing. In saying so, a family that is thriving is one that continually grows. There is no such thing as a perfect family but beginning to see every opportunity as an area for development will help you and your family thrive. In this article, we will explore a few ways in which you and your family can grow towards more positive and healthy lifestyles. Staying active is an imperative component of a healthy and balanced lifestyle. Children naturally tend to participate in physical activities. That is until they own their first laptop or gaming console. 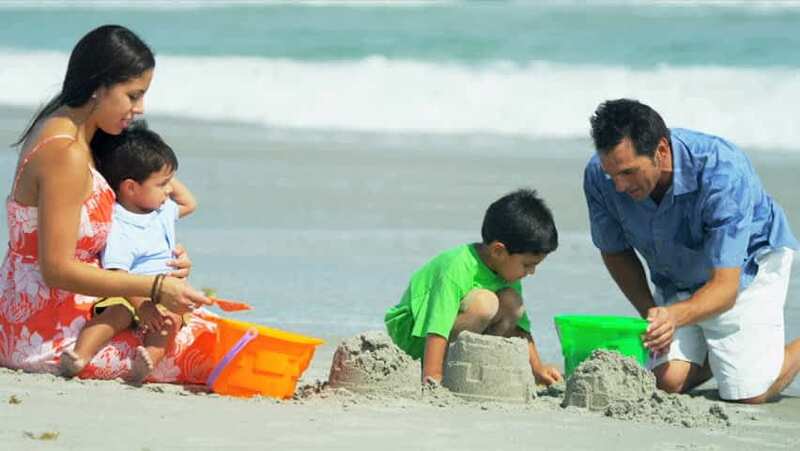 Therefore, it is extremely important that you and your family take part in activities together from a very young age. In doing so, you can steer your children towards functional physical fitness that they may perform for years to come. Your child may take to a soccer ball or a skateboard and never look back. Explore the opportunities with them and be willing to support their curiosity. Better yet, take on the hobby with them. Combining physical exercise with a beneficial eating plan such as the Keto Diet can be extremely beneficial. Looking up the Latest Keto Information could help you maintain your individual fitness goals. Developing a healthy mind is as important as developing a healthy body. Your family will face challenges for the rest of your lives and dealing with those challenges effectively will ensure that you thrive. How your child approaches problem solving will influence many facets of their adult lives. By encouraging problem solving within your family, you will equip your family with valuable insight to be used later on in life. For example, handing everything to your children on a silver platter may promote problematic privilege. Instead, encouraging your children to explore the potential that they have to earn something may instill a sense of independence. Giving your family the chance to see alternative perspectives on something is extremely important as there is no one way of doing something. Equipping your children with the tools to make their own decisions will enable them in the future. Children learn the most from watching, especially at a young age. In fact, model behavior is a key component to the growing development of every child. In saying so, your actions will greatly influence your family. Furthermore, the actions of those around you will influence your children. Hence, it is extremely important that you practice positive habits within your home if you wish for your family to thrive. It’s no use telling your children they can’t eat junk food if you come home with McDonald’s wrappers in your bag from work. While model behavior doesn’t necessarily mean that your child is going to copy the action in question, it is going to mold their ideas surrounding the actions nuances. For example, your child may learn that sneaking elsewhere to get junk food is an okay idea provided that they do not get caught. Sure, we all make mistakes. But, leveling with your child to both explain yourself and listen to their opinions will help you foster a healthy relationship that thrives on mutual benefit. We all need a break. Children especially! Their attention spans are much shorter than ours. Furthermore, the nature of work is changing every year. Nowadays it is common to see collaborative work spaces that capture for fun-filled learning. These kinds of models allow children to enjoy their work. The line between work and play is blurring and it appears to be a positive thing. Children are taking up 3D printing – manufacturing amazing models and functional objects. This is something many of us haven’t and may never learn. As much as you encourage your family to work hard, you should allow time off to play and pursue passions. There is no foolproof method for thriving as a family. There are going to be mistakes, challenges, and hardships along the way. No amount of information can prepare you for your years as a parent. However, with these few tips in mind, you can be more comfortable in your decisions as a parent in the household.